A new Executive Board of Foreign Investors’ Council in Latvia (FICIL) has been elected in organisation’s annual general meeting which took place on March 19. 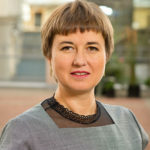 Two newcomers to the FICIL board are Baiba Apine, Director of Advisory and Leader of Digital Transformation at PwC and Arnis Sauka, Professor and Director of the Centre for Sustainable Business at SSE Riga. Julia Sundberg, Country Manager in Latvia at Fortum, and Ints Krasts, Board member at SEB, were re-elected to the Board. Four Board members will continue their work as part of the FICIL Executive Board – Māris Gruzniņš, Commercial Director in the Baltics and the Nordic countries at CEMEX, Gunta Jēkabsone, Vice President and Business Unit Head at Circle K Latvia, Ingrīda Kariņa-Bērziņa, Board member of the American Chamber of Commerce, as well as Baiba Zūzena, CEO at “All Media Latvia”. The FICIL Executive Board is elected for a two-year term and its main responsibility is to represent the interests of more than 50 corporate and associate members in Latvia. The first Executive Board meeting will be held on April 3 where the Board members will elect the Chairperson and two Vice-Chairmen, as preparations for the annual High Council meeting are actively taking place. The FICIL High Council meeting 2019 will be held on May 30 and 31. 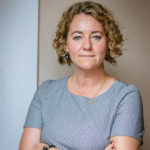 Julia Sundberg has been on the FICIL Board since 2017 and the Chairperson of the Board since the summer of 2018. Julia is the Country Manager of the Finnish energy company Fortum in Latvia. Julia has been working in the energy business since 1998, starting off with combustion R&D and process optimization to later become Technical Manager and Power Plant Manager. In 2008, as the Russian electricity market opened, Fortum acquired one of the newly born companies TGC 10, with production and distribution assets in Chelyabinsk, Tyumen, Surgut and Tobolsk. During four intensive years Julia executed power plant efficiency programs and outlined the investment strategies for the Ural Region. In 2012, Mrs. Sundberg returned to her native country Sweden as Senior Project Manager for a brown field waste incineration block at Brista, north of Stockholm. After successfully handing over and closing the project is was time to return to management, this time in the Baltics. Ints Krasts has been in the FICIL Board since 2017. 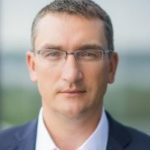 Ints is the vice-president and Board member of SEB Banka and has been working in SEB group since 1999, starting his career as a resource manager, later managing Saldus and Ziemeļu Branches, afterwards taking the position of Chairman of the Management Boards of SEB Leasing and SEB Life insurance. Ints graduated from the Concordia International University in Estonia with a Bachelor’s degree in International Business and obtained a Master’s degree in Business Administration in the Netherlands, Rotterdam School of Management. Also, Ints has improved his knowledge of service, financial analysis, investment and leadership in large companies in various courses in Latvia, Spain and the United States, as well as graduated from the SEB Wallenberg institute’s top-management development program. Baiba is a Director in the Advisory practice of PricewaterhouseCoopers SIA and a member of the board of PricewaterhouseCoopers Information Technology Services SIA. She is in charge of digital transformation services in the Baltic States, promoting services, delivering work, and building a team. Baiba is the leader of FICIL’s Digitalisation work group. Baiba has a Doctor’s degree in Computer Sciences and practical expertise in programming, system analysis and security, software development, quality management, and IT audit. Baiba is the author of several publications about topics related to risks in the process of planning and developing information systems. Baiba has CISA (certified information systems auditor) and PMP (project manager professional) certificates confirming her expertise. Baiba is also a swimming master and a member of the Latvian Swimming Federation. Dr. Arnis Sauka is Professor and the Director of the Centre for Sustainable Business at the Stockholm School of Economics in Riga. His academic research findings, which deal with the shadow economy, tax morale, productivity and competitiveness, social responsibility, internationalisation of companies and entrepreneurship policies, have been published in journals, including Journal of Business Ethics, International Small Business Journal, Journal of Comparative Economics as well as number of edited books and book chapters published by Springer, Routledge, Edward Elgar, IGI Global, Blackwell and PeterLang. Drawing on his academic work, Arnis has been extensively involved in applied research. This has included contracted reports for the OECD and industry associations and NGOs. Arnis is co- author of the annual Shadow Economy Index for the Baltic Countries, author of the annual FICIL Sentiment Index. He has acted as a project manager in several big scale international projects, organized academic and applied conferences, workshops, and is a frequent speaker in the national media commenting economic and business-related issues. 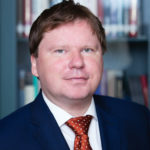 Arnis has been involved in management and consultancy activities, including working as Vice Rector for Studies and Research at Ventspils University College (2011-2013), advisor to Minister of Health (2011-2014), a senior consultant for PricewaterhouseCoopers (2008), a board member of the NGO BASE (Business Against the Shadow Economy) (since 2015). Arnis has a Ph.D. from the University of Siegen (Germany) and has been a Visiting Scholar at Jönköping International Business School (Sweden) and University College London (U.K.).